This is a great space for a couple who wish to be private at times, but part of a larger group with additional facilities when it suits. (The advertised price is for the room, so split between a couple, this would represent fantastic value!) Alternatively, if you are an individual looking for a little more personal space but don’t want to miss out on the facilities offered to a larger group, this suite would suit you down to the ground! 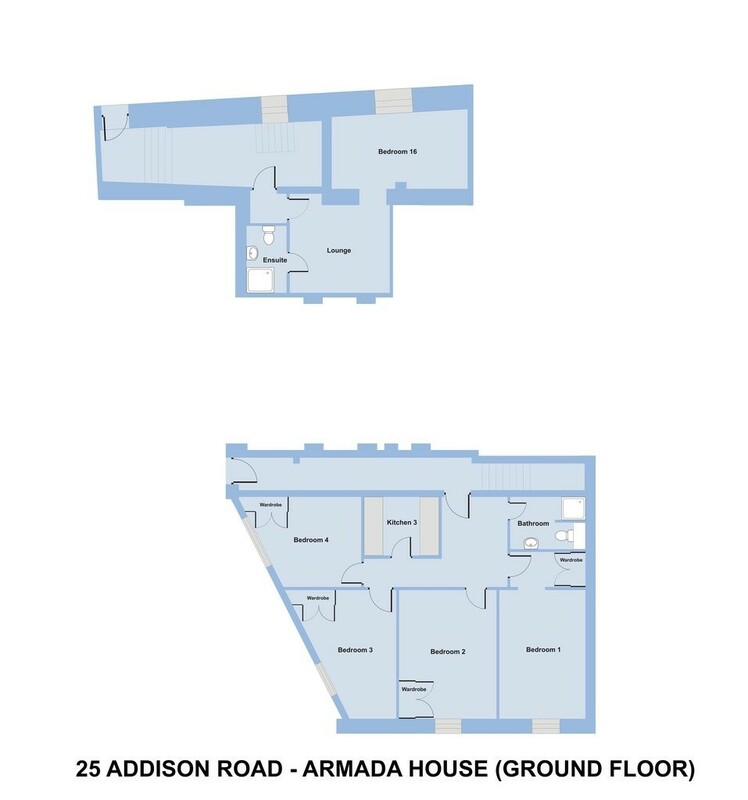 Room Number ’16’ or our ‘Armada House Suite’ features a study bedroom with double bed, desk, chair and double wardrobe, a cosy lounge with two seater sofa, and an en-suite modern shower room with shower, wash hand basin and WC. 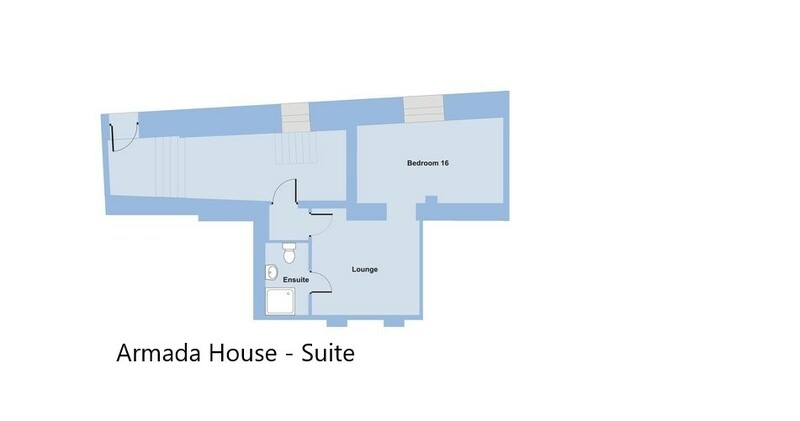 The suite is located at the far end of the 15 bedroom house, away from the main thorough fair. The basement apartment has an additional washer/dryer and oven in the kitchenette plus a shower room with WC and wash hand basin. 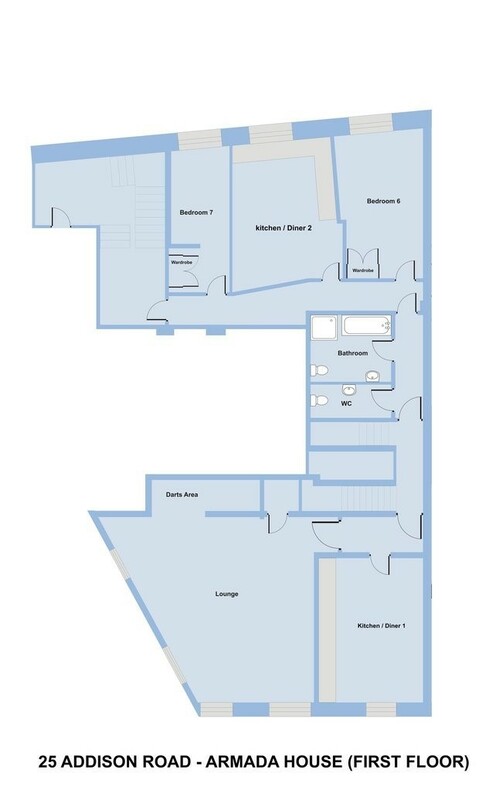 Please see the floor plan link for a clearer view of the property layout. 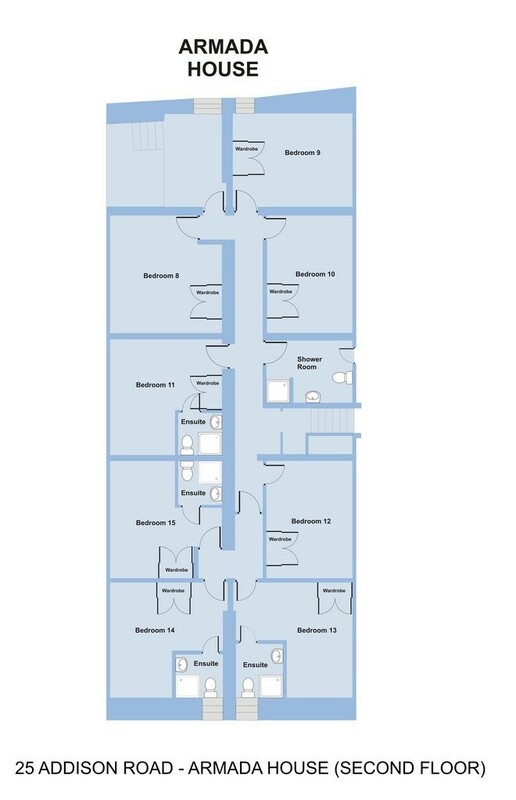 1 bedroom 'suite' (including lounge and bathroom), set within larger student house with shared use of all facilities!